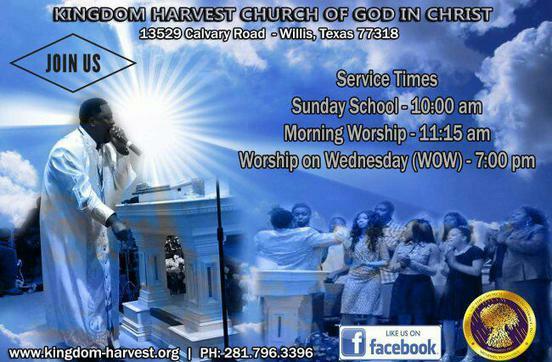 Welcome to the website for Kingdom Harvest Church Of God In Christ. It is our pleasure to greet you and to have you visit our site. 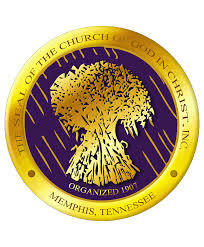 It is a privilege to share with you the awesome Christ centered ministry that takes place here at Kingdom Harvest where we are "Evangelizing the sinners, Equipping the saints, Exalting the Savior" through the mission and ministry of Jesus Christ. It is our hope that as you peruse this ministry vehicle, you will be inspired, encouraged, empowered, and even reconciled with Christ. 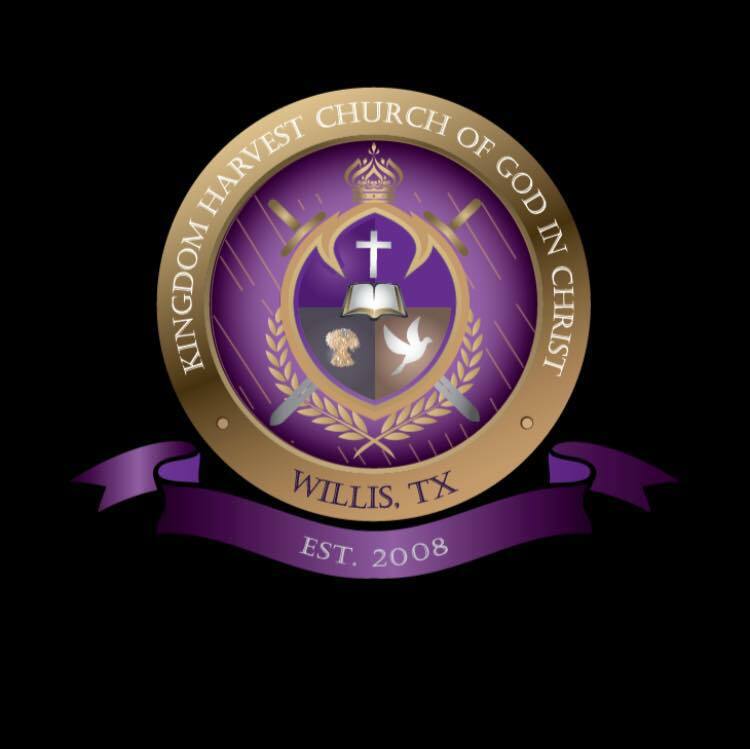 If you are ever in the Willis, (Montgomery County) Texas area, please join us in worship and experience the Kingdom with us!! !